It is difficult to put an accurate figure on the impact of malvertising. At their peak between 2014-2016, malvertising campaigns lead security research firms to report millions of malicious advertisements across the web. Whether the rate of malvertising incidents has risen or not, one thing is clear. Malvertising can do a lot of damage to an unsuspecting user. With the low entry level to malvertising, the threat remains active. This guide which will help you understand what malvertising is, why it’s so popular, where it’s hiding, and what you can do about it. “Malvertising” is a portmanteau of “malicious advertising.” In short, malvertising is the practice of using online ads to infect computers with various types of malware. Pre-click: A malvertising campaign that uses a special script that automatically downloads as soon as the ad loads. The user doesn’t have to click anything; visiting the page containing the ad is enough. This allows an attacker to place malvertising in a landing page, or set up a malvertisement redirect chain to bounce users through several malicious pages. Post-click: As it sounds; the user downloads the malware after clicking the malicious ad. Attackers still use malvertising redirects to keep users moving through numerous pages. Malvertising can carry all kinds of malware types. It can be anything from adware to ransomware, to a piece of code that changes settings on your router. Exploit kits are a common malvertising payload. If successful, an exploit kit can open your system up to other malware types. Botnets, banking Trojans, and cryptojackers are also on the malvertising menu. How Big a Threat Is Malvertising? The main reason is that advertising is everywhere. Third-party-ad networks sell adverts to big sites like eBay, The Weather Channel, Rotten Tomatoes, and MakeUseOf. Those sites display the ads in good faith. But if a malvertiser figures out how to insert a malicious ad into a legitimate ad network, there’s a chance it will appear on high-ranking websites before its caught. The networks serving advertisements throughout the internet are largely automated, with only peripheral human involvement. This means attackers can take a chance. If successful, their infected ad will sneak through the security systems of an internet advertisement network. Even highly trusted ad networks, like Google’s DoubleClick, have distributed malicious ads. The automation means a majority of websites are unaware of precisely what will be displayed on their site, removing themselves from the selection process—and further distancing themselves from potentially malicious content. One tactic for malvertisers to get their ads into trusted networks is by buying ad space for benign ads first. Once a reputation as a legitimate advertiser is established, the malware-laden ads begin. Because they’re under less scrutiny than new advertisers, they have a brief opportunity to slip these malvertisements onto websites. A newer method of getting malvertisements published is just-in-time malware assembly. This includes innocent-looking components of code in the ads that are downloaded separately to a victim’s computer. They’re then assembled and compiled into the malware payload. This payload can then run or download additional components to complete the assembly. This is especially difficult to detect. Malvertising is a particular threat to mobile users. How many times have you accidentally tapped an advert on a website while scrolling through? Or clicked an advert in a game as you try to speed through cooldown timers or lockout screens? A malicious ad doesn’t differentiate between a “proper” click and an accidental click. Smartphone design doesn’t help, either. The screen is great for scrolling, but precise clicking is a different proposition. Another smartphone issue is a lack of security programs. Many users simply don’t consider their smartphone security in the same manner as a desktop or laptop. Where Does Malvertising Come From? Unfortunately, you can find malvertising absolutely anywhere. 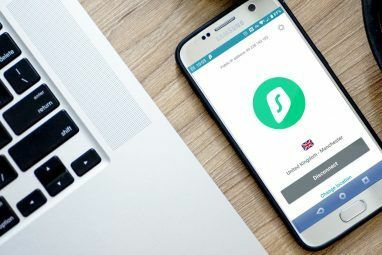 Because of how third-party ad networks operate, infected ads can be spread to a wide variety of otherwise very trustworthy sites at high speed. While there are sites that are more likely than others to infect you with malware, you can be hit at any time with one of these ads. Malvertising is a stealthy delivery method, too. 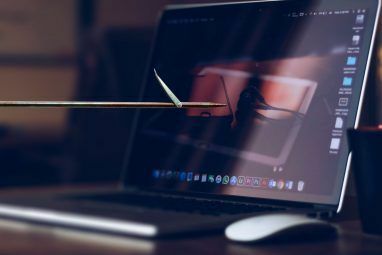 However, RiskIQ’s research showed that in 2015, the most common form of malvertising was through fake software updates, especially for Adobe’s Flash plugin. They can also be spread through fake virus and malware warnings, though the prevalence of that particular method has decreased. Note: The alert above looks legit, doesn’t it? Learn more about how to spot fake virus and malware warnings How to Spot and Avoid Fake Virus & Malware Warnings How to Spot and Avoid Fake Virus & Malware Warnings How can you tell between genuine and fake virus or malware warning messages? It can be tough, but if you stay calm there are a few signs that will help you distinguish between the two. Read More so you’re never caught off guard or tricked. Disable Flash and Silverlight. Both are frequent targets for attackers, both frequently contain security vulnerabilities Think Flash Is the Only Insecure Plugin? Think Again Think Flash Is the Only Insecure Plugin? Think Again Flash isn't the only browser plugin that presents a risk to your online privacy and security. Here are three more plugins that you probably have installed in your browser, but should uninstall today. Read More . Use script management add-ons. As most ads and scripts are automatically implemented, you can use a script blocking browser extension to control your web content Control Your Web Content: Essential Extensions to Block Tracking and Scripts Control Your Web Content: Essential Extensions to Block Tracking and Scripts The truth is, there is always someone or something monitoring your Internet activity and content. Ultimately, the less information we let these groups have the safer we'll be. Read More . Use and update your antivirus. This will catch more things than it misses. Consider upgrading. Malwarebytes Premium is a worthwhile investment 5 Reasons to Upgrade to Malwarebytes Premium: Yes, It's Worth It 5 Reasons to Upgrade to Malwarebytes Premium: Yes, It's Worth It While the free version of Malwarebytes is awesome, the premium version has a bunch of useful and worthwhile features. Read More alongside a free antivirus suite. I use Windows Defender and Malwarebytes Premium for a more secure system. Until there is a monumental shift in how the internet is funded, ads will continue to be served as part of our day-to-day browsing. Massive ad-networks aren’t going to disappear unless there is a viable alternative, inclusive of those existing advertising behemoths. They certainly won’t want to relinquish their profits. 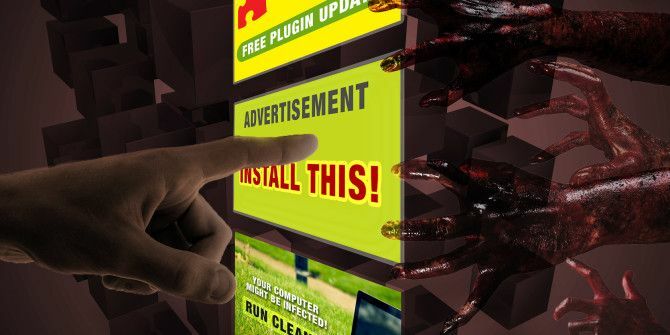 And while each of the major ad-networks will be actively addressing the malvertising menace, there is still a major emphasis on self-protection. Want a browser that features auto-script blocking and cares about your privacy? Check out Brave, a browser that takes your privacy seriously Brave Is a Faster, Safer, Non-Google Web Browser Made for Today’s Internet Brave Is a Faster, Safer, Non-Google Web Browser Made for Today’s Internet Brave is a new browser known to be faster and safer than Google Chrome. How? Let us show you its unique features and their impact. Read More . Explore more about: Ad-Blockers, Malvertising, Malware, Online Security. All the more reason to use strict ad blockers and NoScript. Ad Blocking isn't as simple as installing Adblock Plus. You need to have a good working set of blocking subscriptions. One of the easier ways to find subscription lists is from a Google search for "abp subs" (these work in other blockers such as ublock origin and ablock latitude as well). I suggest Easylist, Fanboy's Annoyances, Malware Domains, Spam404 and Adware Filters. It's a personal choice whether to add "Adblock Warning Removal" or Adblock Plus's own "Allow Non-intrusive Advertising", but I do those as well. Ad blocking needs to be configured for all available web browsers on a system, even if you have no plans to use them. It's definitely possible for something to attack a browser you're never use. Web browsers that do not support ad blocking (looking at you, Edge and Chrome on Android), should not be considered acceptable. You may also wish to use an Ad-blocking hosts file for your computer or rooted mobile devices. This is a blunt instrument compared to more granular blocking from a browser addon, but it also works regardless of the internet-enabled software being used and helps for systems that have a certain amount of advertising baked in (Android). Finally, having some degree of fine control over script execution above and beyond simple ad blocking is incredibly helpful from a security standpoint. I'm a big fan of proper NoScript, which runs wonderfully on Mozilla-derived browsers like Firefox, Seamonkey, Waterfox and Palemoon, but it's less functional on non-Mozilla platforms. 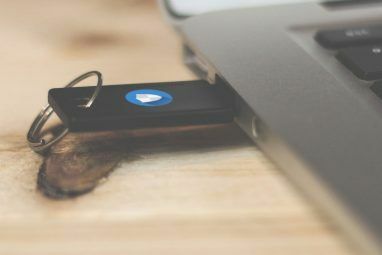 An alternative option, particularly for less technical users, is uMatrix, which does exist and work on Chrome and Opera as well as Mozilla-type browsers. You can use http://magichosts.pt/ to have 3 sources and firewall rules to block most of the know ads companies and malware related stuff. Install and download those source files that will create a super HOSTS file, plus lot's of IP on the firewall that block ransomware and other bad IP's. Simple and free, but you do need to update it manually at least once a week. "Even highly trusted ad networks, like Google’s DoubleClick"
Trusted by whom? Google? Trusted to do what? To deliver malware? As far back as I can remember DoubleClick was always considered to be a sleazy purveyor of malvertising. Their URL was/is the first to be blocked in my Hosts file. Just because Google acquired them does not mean that DoubleClick's reputation or practices have been sanitized in any manner, shape or form. Trusted by a lot of web publishers to deliver ads—it's one of the biggest ad networks out there, and that wouldn't be the case if people didn't trust it. Whether that trust is misplaced or whether they serve more malware than another network is another issue. The fact remains that DoubleClick is huge. MCAFEE VIRUSSCAN ENTERPRISE 8.8 RP5. Version RP6 Is The Most Recent And The First Compatible With W10 - For Those Of You Who Can Not Live Without The **Latest And Greatest**.